Applications for the Glenn Maloney Scholarship are now open! 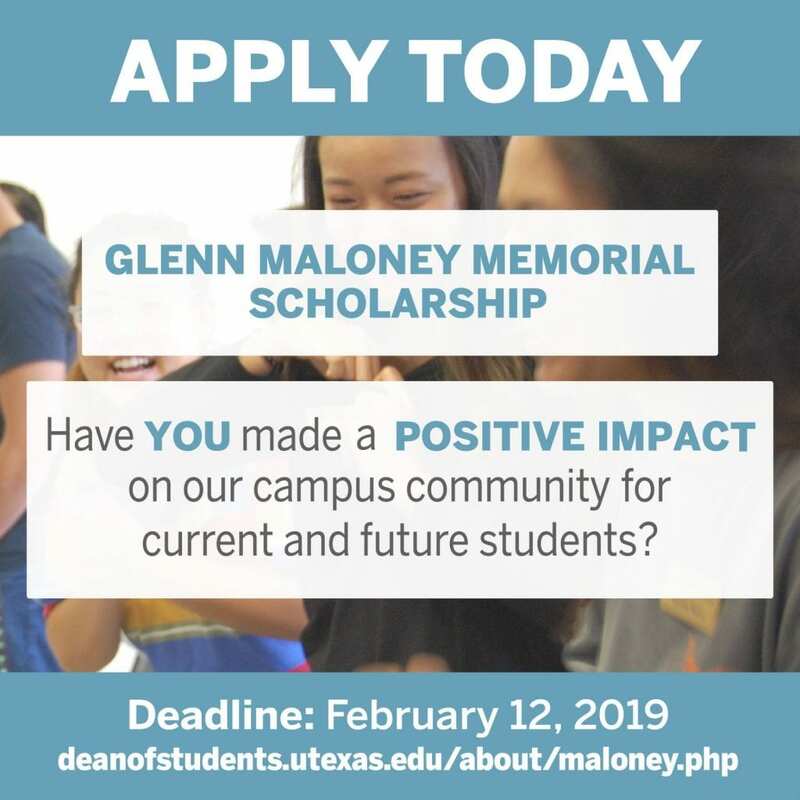 The Office of the Dean of Students invites you to apply for the Glenn Maloney Scholarship! The Glenn Maloney Scholarship is given in memory of Glenn W. Maloney. Glenn served The University of Texas at Austin for 19 years, the last seven as the Associate of Dean of Students. The scholarship was established to remember Glenn’s countless contributions to the university and to recognize the students he loved. Students who exemplify Glenn’s character and positive impact on students are encouraged to apply. Applications are open and available on Hornslink through Tuesday, February 12, 2019. For more information about the process and eligibility we encourage you to visit our website.